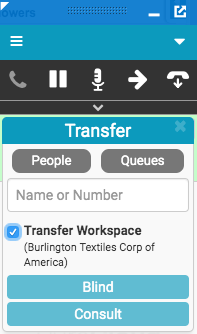 In the Name or Number text box, type a queue name, an individual’s name, or a phone number. 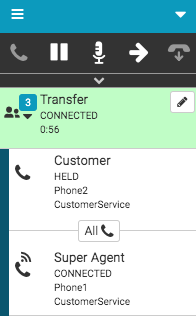 An individual’s status and the number and types of interactions that the individual is handling appear after the individual’s name. 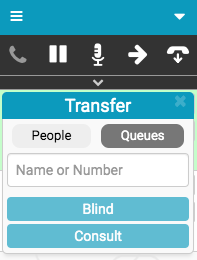 Click the individual or queue that you want to call. Hover your mouse over Waiting to see all media types. 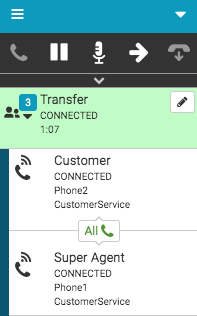 When you are ready to transfer the call, click Transfer in the call controls. 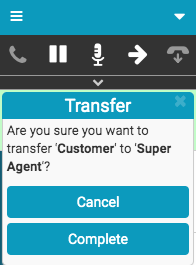 Or you can cancel the transfer. You remain connected to the original interaction.